The Road to Solo Driving handbook produced by VicRoads explains the main rules which apply to all road users and must be read and understood if you want to pass the Learner Permit Knowledge Test and hold a learner permit in Victoria. The Learner Permit Knowledge Test is a multiple choice test that assesses the material from the Road to Solo Driving. As the content of this handbook is directly assessable, it it vital you obtain and read the most recent version (which can be found here divided into 5 separate documents). After the initial reading, revision can be difficult as the task of re-reading and revising the 170-page handbook is no mean feat. As such, Driving Test VIC has produced a summary of the Road to Solo Driving to help you prepare for the Learner Permit Knowledge Test. 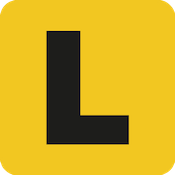 The Driving Test VIC summary concentrates on assessable material and allows for targeted and effective revision for the Learner Permit Knowledge Test. The summary presents the required information in a far more accessible and memorable way, better enabling you to retain the information for the test. What's more, the summary condenses and synthesises the assessable material into a far more manageable 64-page document - allowing for more frequent and effective revision. There are two ways to to read the Road to Solo Driving Summary. Choose the most convenient method for your revision.